3 beds • 1 baths • 1,122 sq.ft. Have you been waiting for a gorgeous, turn-key home in your price range? This is the one! 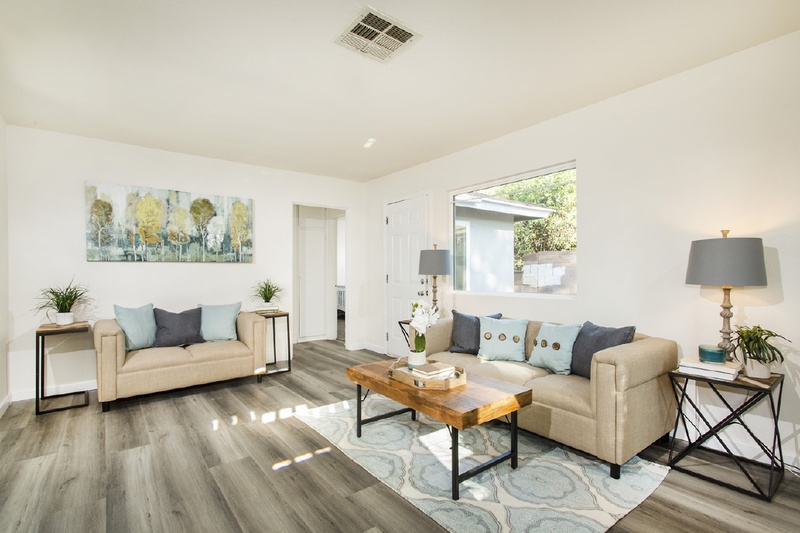 Situated on a large, corner lot in East Riverside, this gorgeously updated home has vinyl flooring, beautiful, light and bright kitchen with quartz countertops, new windows for lots for natural light, fresh paint, inside and out and a remodeled bath. This home features three bedrooms, one of which is a large master with a retreat and a huge, walk-in closet The backyard is huge and there is plenty of room for kids, pets, toys and also has a gate to the back alley so if you have a boat or equipment or large vehicles, they can be pulled in through the back fence. Add your own garage or carport to suit your needs. Central air will keep you cool on those hot, Riverside days! Hurry to see this beauty!